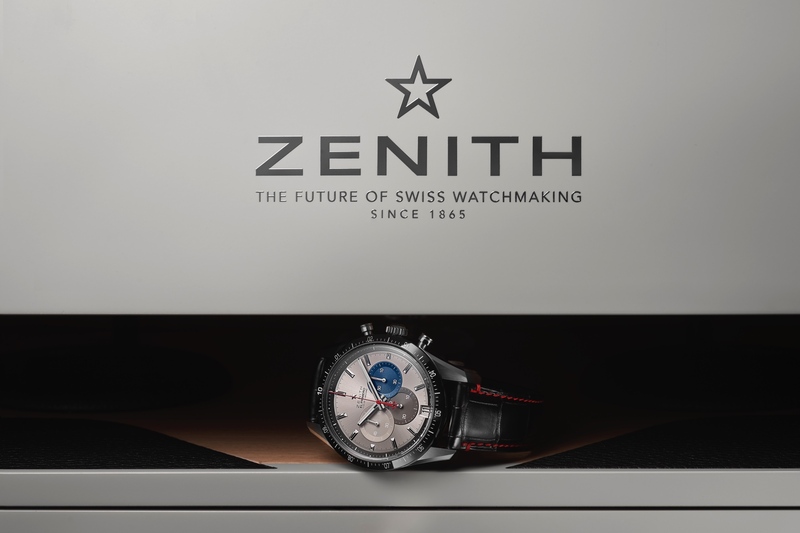 This year Zenith is celebrating the 40th Anniversary of their famous El Primero movement. 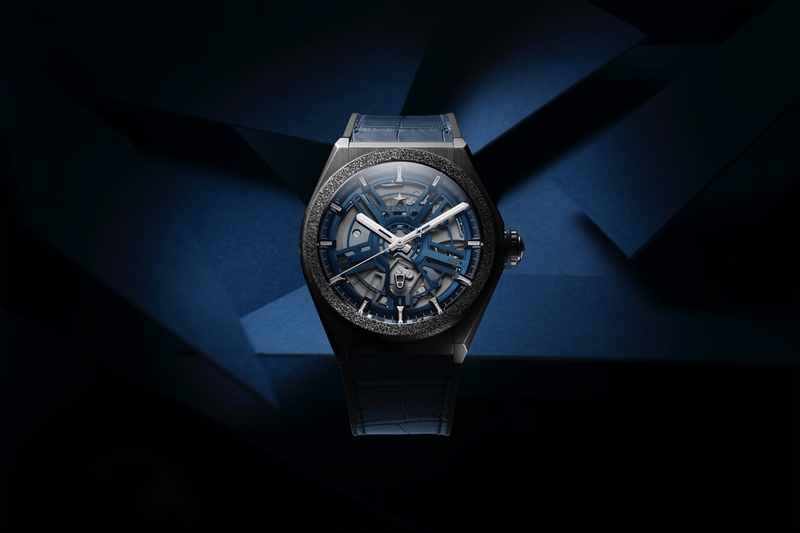 The movement was the first of its kind, offering a 36,000 vph frequency and an automatic integrated column-wheel chronograph with date. Zenith actually sold the movement to Rolex to power the Daytona, before Rolex had in-house movement manufacturing capabilities. “Unrivaled to date, El Primero is the only chronograph movement capable of measuring short periods of time with 1/10th of a second accuracy.” The movement is able to accept add-ons: triple calendar, moon phase and flyback. 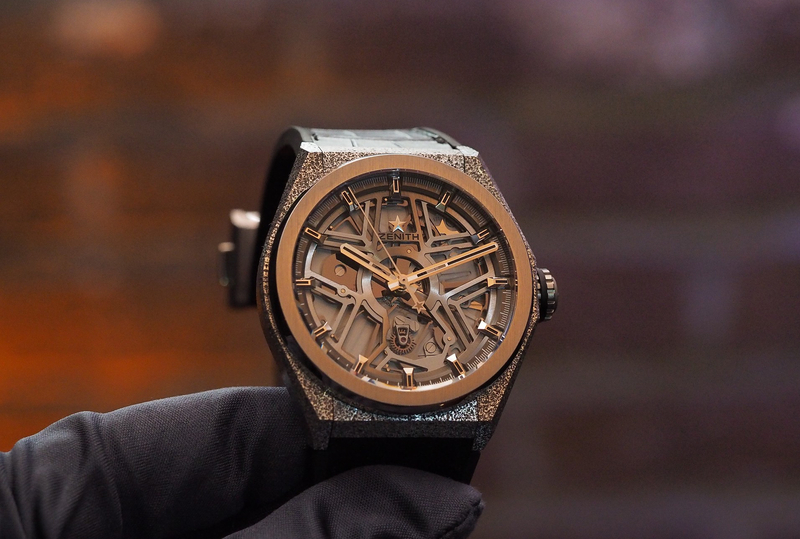 It is also available in tourbillon, open, power reserve and Grand date versions. 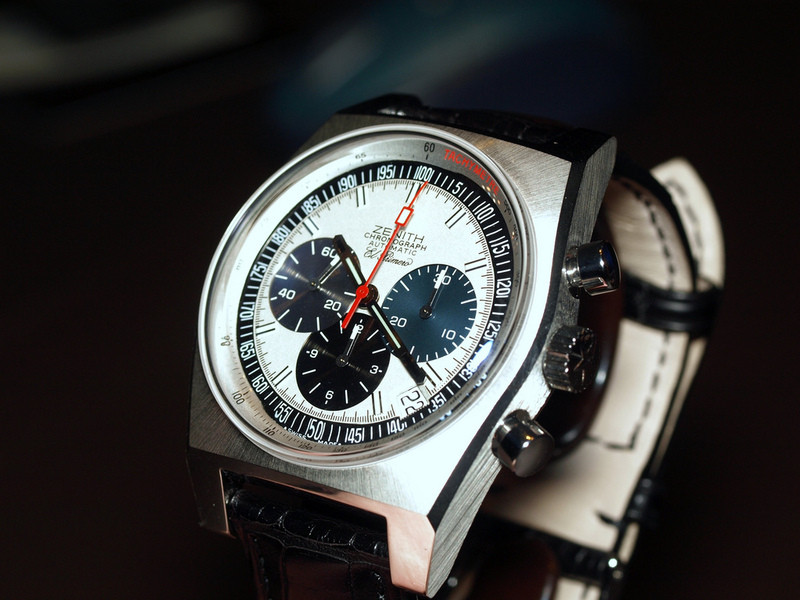 The watch I got to see at Baselworld was the steel version of the new El Primero Vintage 1969 Chronograph (pictured above). The new vintage El Primero chronograph is also available in rose gold or black titanium.